Last Saturday I went to Primark with the idea of buying quite a few things but at the end I just bought ... socks. I think I did not buy anything else because the store was really messy and untidy... or because it was very crowded, I don't know. 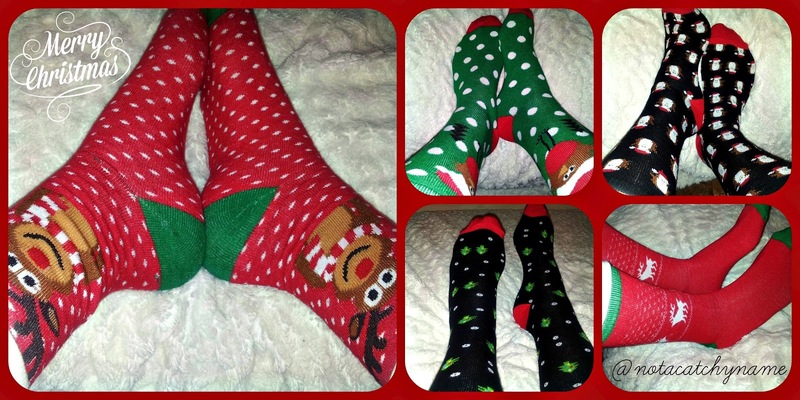 Nevertheless, I found these festive socks for 3.50€ and since yesterday was December 1st, it is great for the month! Happy, happy, happy! I would love to decorate also my room ( I looooove Christmas!) but since I share it with my little sister and my room is very tiny, it is kind of impossible. If you are thinking to decorate your room for this Christmas, Zoe (zoella280390) has done a video called Christmas Bedroom Inspiration that may help you - I just leave it here for you to watch it!. I recommed to go to her channel! I like her style and the way that she does videos/vlogs etc.